This chapter considers Joseph Conrad as the exemplar of early twentieth-century multilingual writing. Drawing upon two texts, Heart of Darkness and Nostromo, Williams argues that an apparent mid-career shift in Conrad’s works between the colonial frontier narrative and the political realist novel can be read through its redrawing of Conrad’s negotiation of the multilingual. Both Conrad’s fashioning of a high modernist aesthetic and his proto-postcolonialism, the chapter argues, can be discerned in the move from the short-sighted, insular narrative of Heart of Darkness to the sweeping, consciously multilingual expanse of Nostromo. 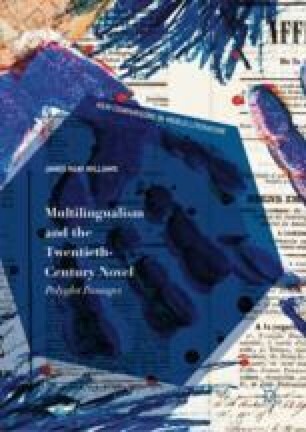 Both texts, Williams suggests, are productive failures in their attempts to subsume multilingual realities within the notionally Anglophone novel.